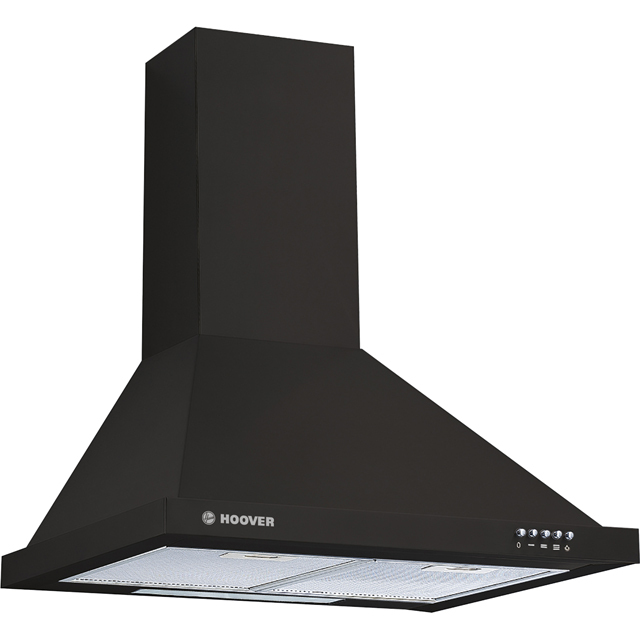 Enjoy a fresh-smelling home with this chimney cooker hood from Hoover. It’s 60cm wide, making it the perfect size to partner with a standard hob. Plus with a maximum extraction rate of 526 cubic metres per hour, it’ll clear the air in a medium-size kitchen in no time. So, if you’re whipping up a particularly aromatic dish, or you simply overdo the sausages a bit, it won’t leave any odours lingering for long. As it works hard to banish those smells, this model operates at 67dB, which is towards the louder end of the scale. And if you need some more light while you’re cooking, the hood has a bright built-in LED bulb, which easily switches on using the push button controls.